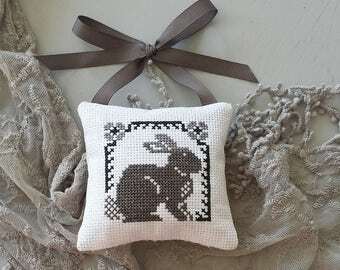 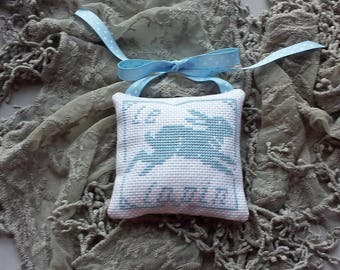 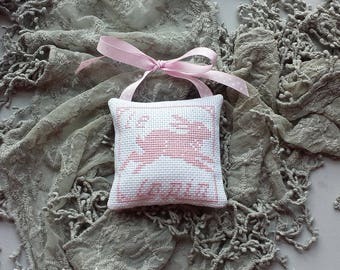 Hand Stitched Rabbit Cross Stitch is a brown woodland hare with the word "rabbit". 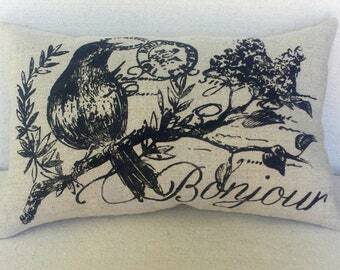 Framed with cream canvas duck fabric, black/cream ticking and finished with vintage lace ruffles at each end. 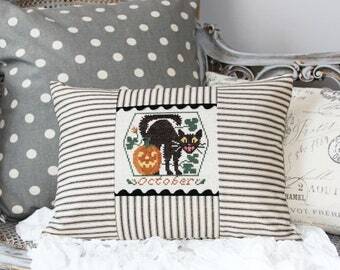 Back is black and cream ticking cotton fabric. 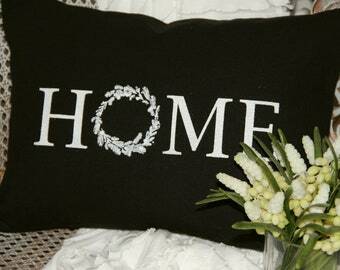 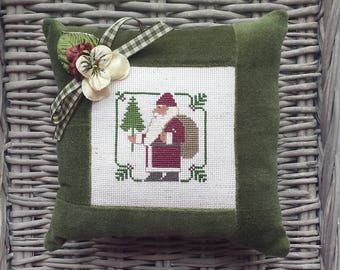 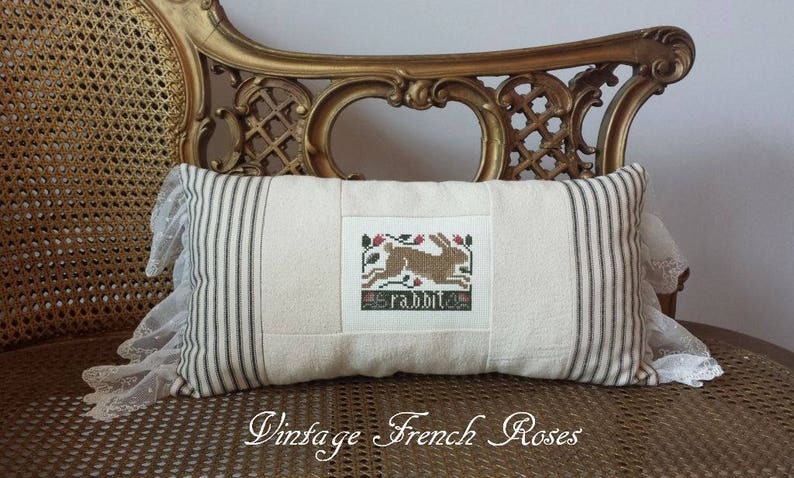 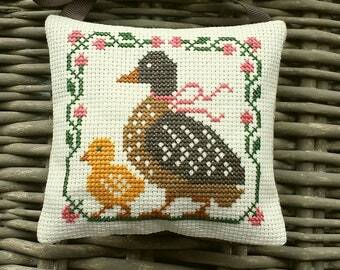 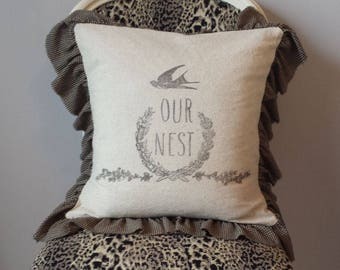 The perfect accent pillow for French Cottage, Farmhouse, Cottage or Shabby style decor.